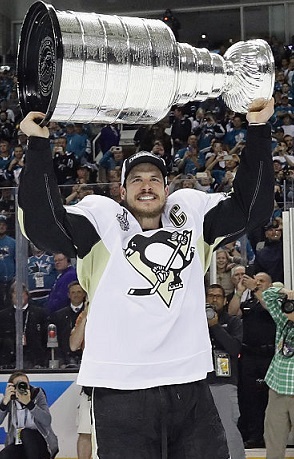 ﻿Welcome to the world's foremost authority on the history of the Pittsburgh Penguins. From the team's inception on february 8, 1966 through the 2018-19 season. you have found the home for the most comprehensive online museum and historical database related to the fascinating history of the 5-time stanley cup champions. Over the past 18 years, PenguinsChronicles.com owner Casey Samuelson has pieced together a collection dedicated to the greatest players - Mario Lemieux and Sidney Crosby - and greatest teams in Pittsburgh Penguins franchise history. The collection is unmatched in its historical significance and completeness. 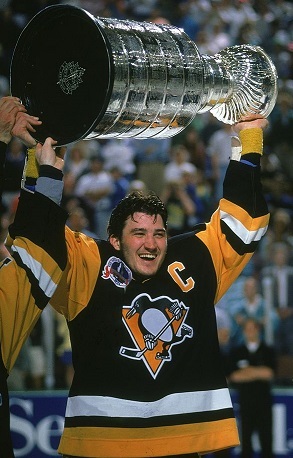 The collection includes jerseys from each of the five Stanley Cup Final championship series' including Mario Lemieux's 1991 and 1992 Stanley Cup Final jerseys. 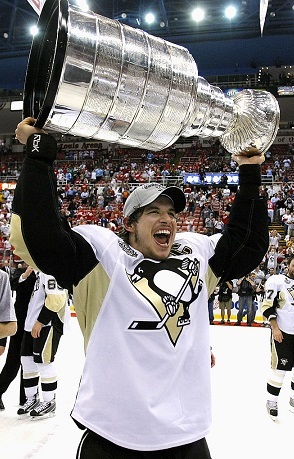 It also features game used equipment from each Stanley Cup Final & Playoffs run from Captains Mario Lemieux and Sidney Crosby. Addtionally, the collection features genuine Stanley Cup rings, trophies, ticket stubs, pucks, and other artifacts. 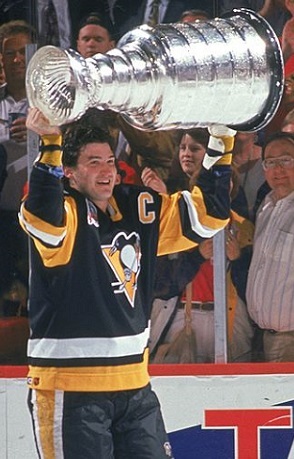 With over 18 years of experience researching and documenting the history of the team, PenguinsChronicles.com is THE AUTHORITY on the history of the Pittsburgh Penguins and their uniforms. Whether you're searching for an item for your collection or researching an item already in your collection, look no further. There's a reason why the Pittsburgh Penguins asked Casey Samuelson of PenguinsChronicles.com to help write, edit and piece together the history of the Pittsburgh Penguins uniforms and draft history for the team's media guide in 2008 that is still used in the team's official media guide today. PenguinsChronicles.com researches harder, better and more thoroughly than any other Pittsburgh Penguins resource and authenticator in the hobby.